At some point in the history of human development mankind looked down at the humble crayon and wondered if it had more creative potential than just being used to color inside a line. It turns out the answer was yes, and crayon carving has become so popular there are even Etsy shops dedicated to it. 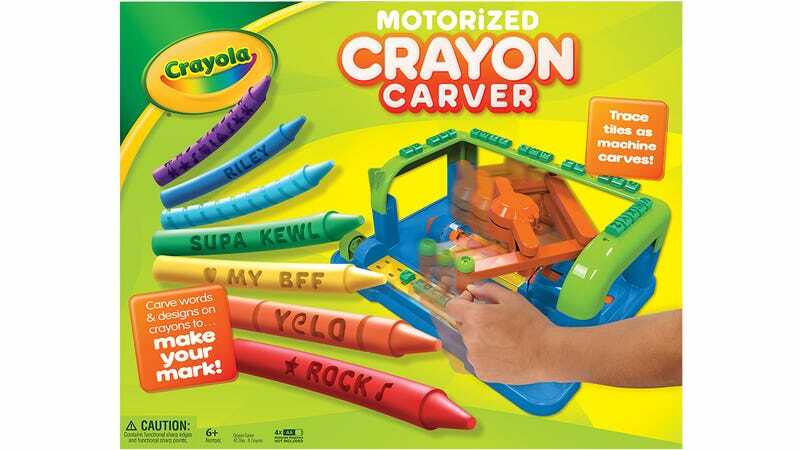 But why spend your money on someone else's carved-up crayon creation when Crayola will now let you make your own?